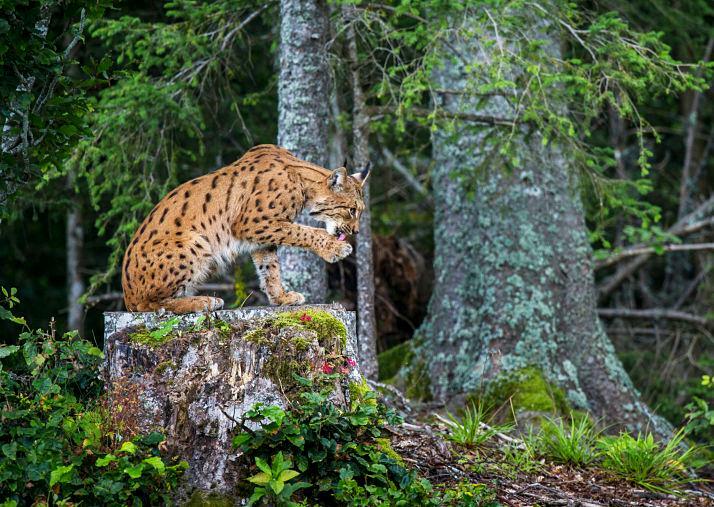 A stunning new book published by SCOTLAND: The Big Picture looks at what it might be like if the Eurasian lynx returned to Scotland. The Lynx and Us – by ecologist Dr David Hetherington, with stunning photography of wild lynx from Laurent Geslin – aims to inform a growing debate about the possibility of reintroducing this charismatic predator to Scotland after an absence of more than 400 years. Drawing upon evidence from across Europe, the book examines what it would be like to have an apex predator living in our midst once again. Lynx numbers are on the rise in Europe, through natural colonisation and reintroductions – sparking calls for the species’ return to Britain. Whilst this may be undesirable for some, Hetherington says tangible benefits would include helping to control the damaging effects of deer in commercial woodland, and opportunities to boost Scotland’s appeal for nature-based tourism. “Reintroducing lynx would be a milestone for British nature conservation. By preying on roe deer, they could play a vital role in maintaining healthy woodlands. But the lynx’s return could bring challenges too, so a respectful dialogue with those who live and work in the countryside is essential before any reintroduction could ever happen,” said David Hetherington. Evidence suggests that lynx survived in Britain until after the Middle Ages. 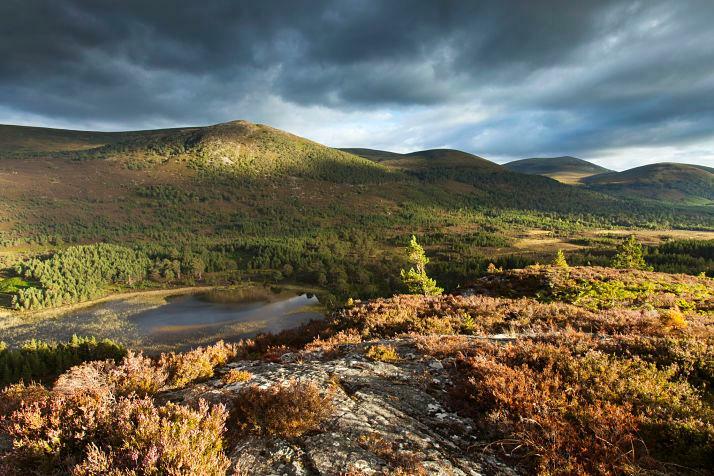 The Highlands may be where it held out longest, and this is also where Hetherington says a modern-day lynx population could live, given the area’s abundance of forest and woodland deer as prey. His previous research indicates that the Highlands could support a population of at least 400 wild lynx. Following centuries of decline due to deforestation, persecution and overhunting, the lynx has been reintroduced to several European countries since the 1970s – including in busy areas more densely populated than the Highlands, and which are used for farming, hunting, forestry and tourism. The lynx’s shyness and small size mean attacks on humans are virtually unknown. “The lynx is staging a comeback across Europe – but in Scotland returning top predators remains a prickly conversation, often based on misunderstandings. This book aims to address that by offering a balanced discussion,” said Peter Cairns, Director of SCOTLAND: The Big Picture. In Scotland, there would be scope for conflict between lynx and human hunters of deer, but probably less so than in other countries, where there are fewer deer and more hunters. Impact on red deer stalking is unlikely to be significant because lynx are shy ambush-hunters, which avoid open areas and instead prefer smaller woodland deer such as roe and sika. Lynx also avoid red deer stags, which are most sought after by human hunters. “Attacks by lynx on sheep grazed in open pasture are relatively rare, but occasionally happen. 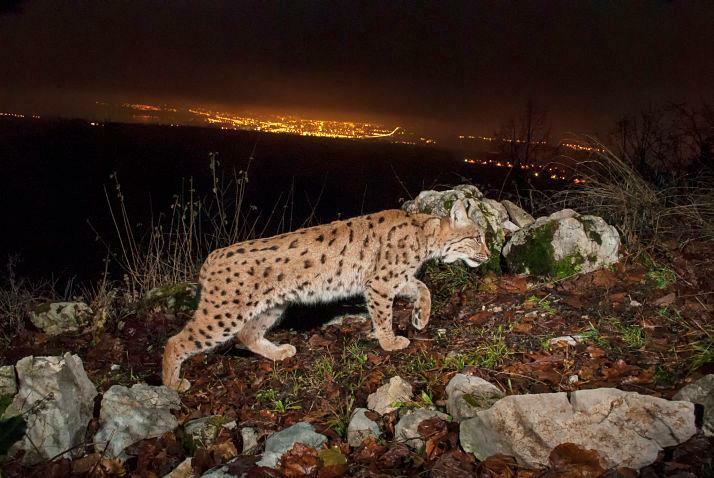 Switzerland’s 250 lynx cause livestock losses of 20 to 50 animals each year, while preying on 12,500 wild roe deer and chamois annually. Nevertheless, farmers here would need to be reassured that negative local impacts could be managed,” said Hetherington. This could be achieved by using and adapting methods tested in other countries for years – such as livestock protection measures, compensation schemes, and even lethal control. Based on evidence from other countries, there would be no significant impact on threatened species such as wildcats and capercaillie. Meanwhile, lynx are known to routinely prey on foxes, which do prey on capercaillie and can compete with wildcats for food. A major benefit of a healthy lynx population would be to reduce the impacts and costs of browsing by deer. Scotland’s high numbers of woodland deer – which currently lack natural predators – can have a costly impact on forestry and on wildlife habitats through heavy browsing. Lynx could offer opportunities for Scotland’s tourism industry, especially important in economically fragile areas such as the Highlands. Nature-based tourism is growing, and has been calculated to have a direct economic benefit to Scotland of £1.4 billion and 39,000 full-time jobs annually. Much of the infrastructure and market for absorbing the lynx into Scotland’s nature tourism market already exists. As the UK’s only top predator, the species would be a major wildlife icon that could be used to help promote Scotland’s wilder places to visitors. The Lynx and Us provides a fascinating overview of the lynx’s lifestyle, and its interaction with people from Roman and Viking times to the present day. Cairngorms-based Hetherington has studied Europe’s lynx for over a decade. His University of Aberdeen doctorate focused on the feasibility of reintroducing the species to Scotland. The Lynx and Us is the second book in a series from SCOTLAND: The Big Picture, which produces stunning visual media promoting the benefits of a wilder Scotland for people and wildlife. It follows ‘The Red Squirrel: A future in the forest’ by Neil McIntyre and Polly Pullar. The Lynx and Us is available from www.scotlandbigpicture.com.